CALGARY, AB – The newest brewery in Calgary’s Inglewood neighbourhood has announced that it will be officially opening today (August 24th). 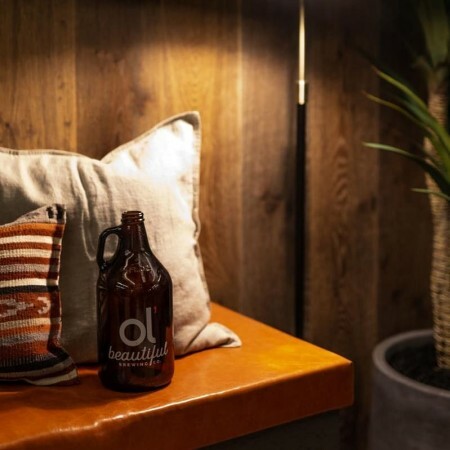 Ol’ Beautiful Brewing has been founded by Chris Carroll, Devon Sidwell, and brewmaster Zoei Thibault, and joins several other breweries – including Cold Garden, Revival Brewcade, Dandy Brewing, and High Line – already open in the area. Ol’ Beautiful launched its beers last year to retail and licensees via contract brewing while its own location was being built out, with core brands including Gatekeeper Belgian Chocolate Stout (7% abv), Siren Song Wheat Ale (5.5% abv), and Pegasus Pale Ale (6.5% abv), all of which will be available at the new location along with other beers. Ol’ Beautiful Brewing is located at 1103 12 St. SE in Calgary. For more details, see the brewery website and Instagram page.